After little more than three hours of deliberation, a Manhattan jury found Ross Ulbricht guilty Wednesday on all counts related to running the notorious Silk Road online market. Ulbricht was found guilty of narcotics conspiracy, engaging in a continuing criminal enterprise, conspiracy to commit computer hacking, and money laundering. He faces a maximum of life in prison. "Ulbricht built this black market bazaar to exploit the dark web and the digital currency bitcoin to allow users to conduct illegal business beyond the reach of law enforcement," Preet Bharara, the U.S. attorney in Manhattan, said in a statement. The conviction sends a "clear message" to anyone else running an online criminal enterprise, he said. "The supposed anonymity of the dark web is not a protective shield from arrest and prosecution." Ulbricht had pleaded not guilty to all charges in the case, heard at the U.S. District Court in Manhattan. Over the course of three weeks, federal prosecutors carefully constructed a case consisting mostly of digital evidence, that indicated that Ulbricht had maintained Silk Road, which prosecutors estimated had facilitated the sale of more than $213 million worth of drugs and other unlawful goods. Throughout the trial, Ulbricht's lawyer, Joshua Dratel, maintained Ulbricht had handed off the site to other operators shortly after he started it in 2011, and that he rejoined immediately prior to his arrest, lured back in by the new operators to serve as a fall guy. In his closing remarks Tuesday, Dratel offered no new explanation for key issues raised at trial, such as how the evidence of Silk Road's operations landed on Ulbricht's computer. He didn't need to, he told to the jury: It was up to prosecutors to prove that Ulbricht was guilty "beyond a reasonable doubt." Dratel suggested a number of ways that such evidence could have been forged, which raised enough doubt, he said, not to convict Ulbricht. That argument didn't sway the jury, which found the overwhelming amount of evidence presented sufficient to convict Ulbricht. "At issue here was that the defendant thought he could hide on the Internet, behind email and websites, and argue that [prosecutors] could never prove it was him. And they showed that they could," said Peter Skinner, a former prosecutor with the U.S. Attorney's Office who is now a practicing partner for Boies, Schiller and Flexner. On Oct. 1, 2013, Ulbricht was arrested in a San Francisco library while logged on to the Silk Road under the administrative user name Dread Pirate Roberts. He was using his own laptop, which turned out to contain a treasure-trove of evidence linking Dread Pirate Roberts to Silk Road and Ulbricht to Dread Pirate Roberts. Prosecutors also called to the stand a friend of Ulbricht's, Richard Bates, who described how he helped Ulbricht get Silk Road running early in 2011. To prove Ulbricht remained active with the site through 2012 and 2013, prosecutors relied almost entirely on digital evidence. Over the course of three weeks, prosecutors showed multiple instances of how evidence found on Silk Road servers overlapped with information on Ulbricht's laptop and personal accounts, including Gmail and Facebook. The laptop also contained thousands of pages of chat logs, in which Dread Pirate Roberts communicated with other site administrators. Perhaps most damning was the $18 million in bitcoin found on Ulbricht's laptop when he was arrested. The defense argued that those bitcoins were investment income unrelated to the Silk Road, but using the bitcoin blockchain, which records all transactions, prosecutors were able to trace at least $13 million of those coins back to the Silk Road. Also helping the prosecutors' case was that, with conspiracy charges, the defendant didn't need to have been involved with the illegal operation for the entire time. Merely being involved at some point was enough to convict, the prosecutors reminded the jury during closing remarks. Early in the trial, Dratel charged that Mark Karpeles, operator of the failed Mt. Gox bitcoin exchange, may have had a major hand in Silk Road's operations. But Karpeles denied any involvement and Judge Forrest ordered the jury to disregard the claim. The Silk Road case was an important one for federal prosecutors, being "probably one of the most high profile cyber-cases that has been brought by the government," said Skinner, the former prosecutor. His law firm was not involved with the case against Ulbricht. "We have data breaches happening all the time and there is a lot of fear that the government won't be able to find or hold these people accountable," he said. The Silk Road prosecutors "have shown that in this instance that they could do so." Ulbricht hasn't seen his last days on court. He must still answer charges in Maryland of money laundering and conspiracy to commit murder, also related to his time running Silk Road. The U.S. Drug Enforcement Administration says Ulbricht attempted to have a potential informant silenced, but the hit man he allegedly approached turned out to be a DEA agent. 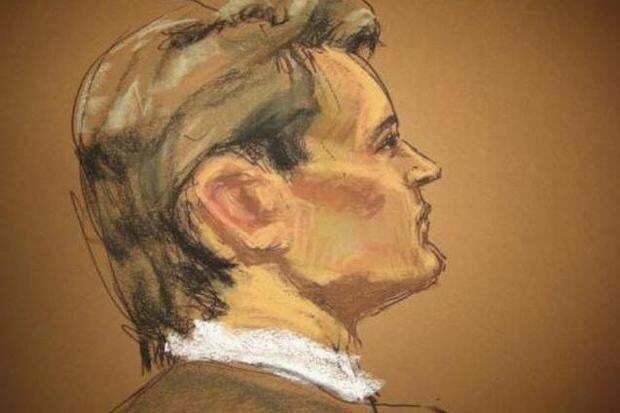 At the court in Manhattan, prosecutors presented chat logs that showed how Dread Pirate Roberts had commissioned the assassinations of five other individuals who threatened the Silk Road's operations. He was not charged with murder conspiracy in this case however, because the intended targets were never proved to have existed, and there were no murders that fit the description of the killings.